Many preventive treatment options for migraine are associated with weight gain, which can limit medication options for obese individuals. As in adults, headache and obesity are highly common in the pediatric population, with conservative estimates indicating a prevalence of 17.1% and 18.5%, respectively.1,2 Both have been linked with substantial morbidity, functional impairment, and cost, and a growing body of research suggests important associations between the 2 conditions, including frequent comorbidity and potentially overlapping risk factors, pathophysiologic mechanisms, and treatment implications. Determinants of pediatric obesity include poor nutritional habits, low physical activity, urban residence, socioeconomic status, and female gender.7 Key strategies to address childhood obesity include healthy eating habits such as increased consumption of produce and fiber, eating breakfast and avoiding frequent snacking, and limiting intake of nutrient-poor foods; physical activity, ideally for 60 minutes per day at a moderate to vigorous level of intensity, and less sedentary time in general; and education of parents regarding these health-promoting behaviors and the nutritional needs of their children. To learn more about the connection between migraine and obesity in pediatric patients, Neurology Advisor spoke with Lauren Doyle Strauss, DO, FAHS, assistant professor of pediatric neurology at Wake Forest University Baptist Medical Center. Neurology Advisor: What is known about the link between migraine and obesity in children, including lifestyle factors that have an impact on this risk? Overall, data in children do support an association between pediatric obesity and headache disorders in general, but more research is needed to confirm the association specifically with pediatric migraine. We know that pediatric obesity is associated with obesity in adulthood. Addressing young-onset obesity at an early age is important due to the multiple associated health concerns that can [persist or emerge] over subsequent years. Neurology Advisor: What are the treatment implications for clinicians, including the role of exercise? Dr Strauss: There are multiple implications for clinical practice and whether weight reduction will reduce the number of headaches. Many of our daily preventive medications used in the management of migraine and other headaches can be associated with weight gain, and as a result, medication choices may be limited by obesity. Topiramate, the only daily medication with [US Food and Drug Administration] approval for migraine in adolescents, can be associated with decreased appetite or weight loss. However, in the recent multicenter [National Institutes of Health]-funded CHAMP study led by Andrew Hershey, MD, PhD, and Scott Powers, PhD, both of Cincinnati Children’s, topiramate did not fare as well as placebo and was associated with more side effects compared with amitriptyline.10 Topiramate may be contraindicated in the obese population, as it can interact with metformin, which is often used to treat common obesity-associated health conditions such as polycystic ovary syndrome or insulin resistance. There are various weight loss approaches that are being studied in pediatric patients, including the role for exercise, dietary recommendations, and surgical options. In 2013, there was an Italian multicenter study of obese adolescents ([body mass index] ≥97th percentile) with migraine who were 14 to 18 years old, that examined how weight loss can affect headache outcomes.11 Participants were treated in a multidisciplinary program including dietary education, physical exercise, and behavioral therapy. Weight reduction was shown over 1 year and was significantly associated with a reduction in headache frequency and intensity. Another study by Dr Hershey showed a positive correlation between change in [body mass index] and reduction in headache frequency.12 However, these studies11,12 included behavioral therapy interventions or the elimination of foods that may also trigger migraines. Increasing physical exercise is often recommended to overweight and obese patients as a weight-loss tool and maintenance strategy, but exercise in patients with migraine has several considerations. There is some evidence that yoga and tai chi may be particularly helpful for patients with migraine.13 On the other hand, exercise can also be a trigger for some patients with migraine. Dr Strauss: More research is needed to investigate whether obesity is a risk factor for conversion from episodic to chronic migraine in pediatric patients. The overall association between obesity and migraine is likely multifactorial, and more research exploring mechanisms involving obesity-related bioactive substances and the role of the hypothalamus may help us better understand migraine pathophysiology. 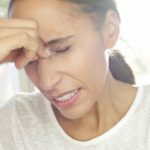 This understanding may lead to potential new behavioral therapies, interventions, or targeted treatments for migraine. Lateef TM, Merikangas KR, He J, et al. Headache in a national sample of American children: prevalence and comorbidity.J Child Neurol. 2009;24(5):536-543. Centers for Disease Control and Prevention. Overweight & Obesity: Childhood Obesity Facts. https://www.cdc.gov/obesity/data/childhood.html. Updated August 13, 2018. Accessed August 20, 2018. Robberstad L, Dyb G, Hagen K, Stovner LJ, Holmen TL, Zwart JA. An unfavorable lifestyle and recurrent headaches among adolescents: the HUNT study.Neurology. 2010;75(8):712–717. Pinhas-Hamiel O, Frumin K, Gabis L, et al. Headaches in overweight children and adolescents referred to a tertiary-care center in Israel.Obesity. 2008;16(3):659-663. Kinik ST, Alehan F, Erol I, Kanra AR. Obesity and paediatric migraine. Cephalalgia. 2010;30(1):105-109. Farello G, Ferrara P, Antenucci A, Basti C, Verrotti A. The link between obesity and migraine in childhood: a systematic review. Ital J Pediatr. 2017;43:27. Verrotti A, Di Fonzo A, Penta L, Agostinelli S, Parisi P. Obesity and headache/migraine: the importance of weight reduction through lifestyle modifications. Biomed Res Int. 2014; 2014:420858. Ravid S. Migraine & paediatric obesity: a plausible link?Indian J Med Res. 2014;139(3):343-348. Gelaye B, Sacco S, Brown WJ, Nitchie HL, Ornello R, Peterlin BL. Body composition status and the risk of migraine: a meta-analysis. Neurology. 2017;88(19):1795-1804. Powers SW, Coffey CS, Chamberlin LA, et al. Trial of amitriptyline, topiramate, and placebo for pediatric migraine. N Engl J Med. 2017;376:115-124. Verrotti A, Agostinelli S, D’Egidio C, et al. Impact of a weight loss program on migraine in obese adolescents. Eur J Neurol. 2013;20(2):394-397. Hershey AD, Powers SW, Nelson TD, et al. Obesity in the pediatric headache population: a multicenter study. Headache. 2009;49(2):170-177. Millstine D, Chen CY, Bauer B. Complementary and integrative medicine in the management of headache. BMJ. 2017;357:j1805.